To be honest, I havenâ€™t sewn in more than 10 years already.Â I studied sewing in high school as a side subject. I knew I also needed to buy one because I have been dying to â€œcreateâ€ and sew my own dresses.Â I often get frustrated at going around malls and not finding what I want! One day, thanks to my Google Adsense earnings, I boldly bought a sewing machine!Â I didnâ€™t even know at that time if I can sew again.Â But what the heck, I tried making my Akazukin Cha Cha costume and I was doing fine!Â Not the best tailoring, but good enough to start with (on me making my own costumes). I donâ€™t know how to make patterns though! >.< Which is a very important factor in sewing!Â I tried trying to find online video tutorials, but sadly, I find their explanations to complicated.Â I NEED to go to a school soon.Â But how did I survive sewing my costumes even without me having any knowledge on pattern making?Â I will share that secret in a bit! Fashion and sewing go together!Â I love dressing up!Â but I donâ€™t only love styling myself, I also think I have many ideas that would only be materialized if I sew them myself. Luckily, I met a new friend at my Pole Dance Classes that helped me find a Fashion School Iâ€™m going to attend soon! 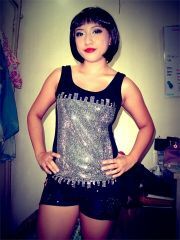 I have always been a dancer.Â But I stopped when I was taking my Accountancy course in College.Â Biggest regret in my life! I shouldnâ€™t have stopped dancing!Â But itâ€™s never too late to dance again and I would like to thank the Polecats for inviting me once to try their class and ladies and gentsâ€¦ I am now hookedâ€¦ hooked on a pole â€“ Iâ€™m in love! We will have a recital soon on June 4.Â Can you believe it? 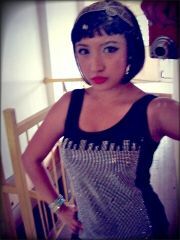 Iâ€™m going to perform and dance again! This is awesome!Â Dancing and performing is just one thing I would love to do for life! I just got home from our Pole Class Recital Photo Shoot.Â and yaye, I did my own makeup (proud of myself that I can do this on my own now THANK GOODNESS!) 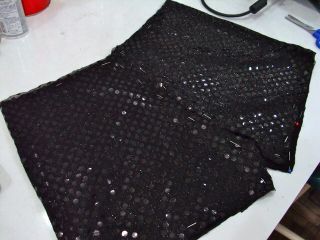 and I tailored my own shorts for this since I couldnâ€™t find any glittery shorts in the mall. 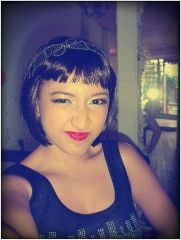 I canâ€™t do my own hair that well yet, so I took my wig and voila! 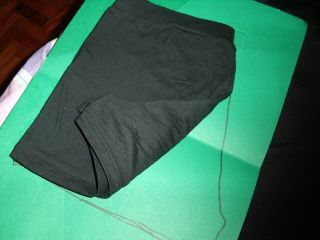 While doing my pantsâ€¦ sewed these myself! Behind the set of our Photoshootâ€¦ it all happened quick! will post photos soon once they publish them! So remember ladies (and gents if applicable), follow your dreams â€“ NO EXCUSES! Trial and error you can make mistakes honeys, but remember to learn from it! INVEST! and if you donâ€™t have money yet â€“ GOOGLE! you donâ€™t need to be prepared to reach your dreams or whatever it is you want in lifeâ€¦ JUST DO IT! TRY! TRY! TRY! 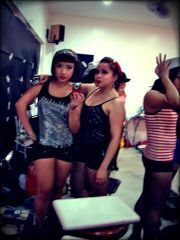 Learn Pole Dancing with Polecats Manila!